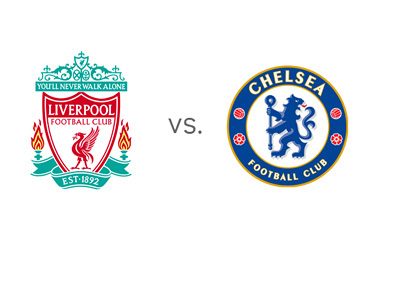 With three games left in the English Premier League season, first place Liverpool host second place Chelsea on Sunday, April 27th, 2014, in what is potentially a title deciding fixture. Liverpool have won their last eleven games and if they manage two wins and a draw in their remaining three, they will be the ones lifting the trophy at the season's end. If they stumble and lose to Chelsea, Manchester City could take the title, by winning their remaining four games (Man City have one game in hand). The upcoming match at Anfield on Sunday is a big one! Last two results for Liverpool are a thrilling 3-2 home win vs. Man City and a slightly wobbly, more recent, 3-2 away win vs. Norwich. Liverpool are going into this match without Henderson, who is suspended, while the English Premier League's second top scorer this season, Daniel Sturridge, is under a question mark. The nineteen year old, Raheem Sterling, is grabbing the headlines lately, after couple of breakthrough performances. Check out his goal against Norwich. Chelsea FC are coming off a solid (0-0) performance vs. Atletico Madrid in the first leg of the UEFA Champions League semi-finals. Considering that the UCL return match is on Wednesday of next week, Chelsea might decide to shuffle their squad on the weekend and play some of the younger players. Chelsea's last league game was a complete disaster. They lost to last place Sunderland 1-2 at home. Victory vs. Liverpool is the only chance for the Blues of staying alive in the domestic title race. Chelsea will be without Petr Cech and John Terry, who are out with injuries. According to the odds, Liverpool are likely to win this one at home. The Reds are also the big favourites to win the league. But, it isn't over yet. Chelsea are still in the mix and they will not throw this game away. The score at Stamford Bridge, earlier in the season, was 2-1 for Chelsea.